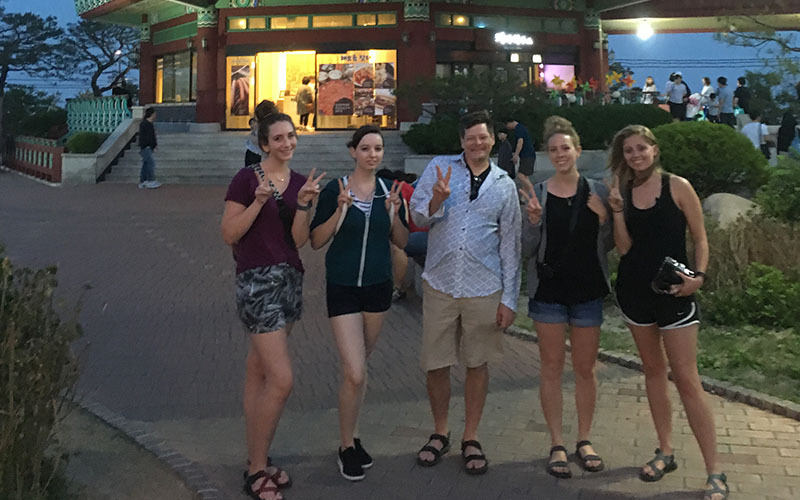 A new exhibit opening Monday, Aug. 14, at Missouri Southern’s Spiva Art Gallery will showcase work inspired by a recent study abroad trip to South Korea. “Reflections of Korea (Please Come This Way, This Way Please)” is a result of the students’ eight-day immersion into the art and culture of Korea. Sponsored by the Institute of International Studies, the trip included visits to several UNESCO World Heritage Sites, Suwon, Gwanji and Icheon. The exhibition features works by art majors Danielle Davis, Sarah Clark, Makenzie Pachen, Carla Rea and faculty trip leader Frank Pishkur. The artwork on display is objects, architecture and their experiences during the trip. Gallery hours are 8 a.m. to 5 p.m. Monday through Friday. A reception for the artists will be held from 4 to 6 p.m. Monday, Aug. 21. The exhibit will run through Friday, Sept. 21.